Westport Scoil Cheoil had its inaugural year in 2014. 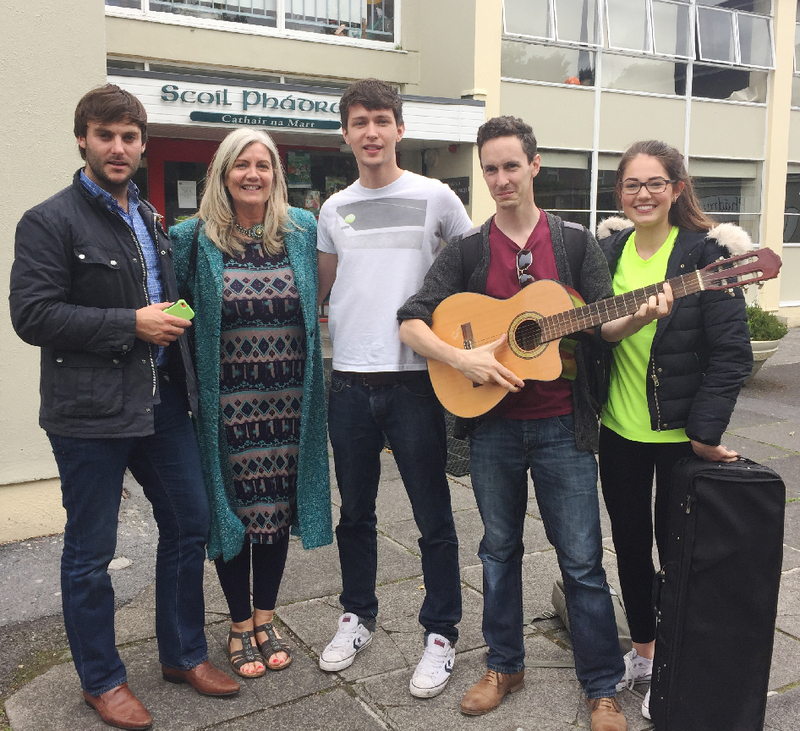 It is a hugely successful traditional Irish music summer school because it fulfils our motto: Best Teachers, Best Location, Best Price. We have been extremely fortunate to have secured the very best Irish musicians / tutors in the world. Westport Scoil Cheoil is so proud to have hosted such prestigious name as: Zoe Conway, Tara Breen, Christopher McGuire, Lisa Canny, Kate Heneghan, Emer Mayock, Aisling Lyons, Mícháel Healy, Tom Doherty, Des Cafferky, Alannah Thornburgh, Maggie Heneghan, Noel Kilkenny, Caoimhe Kilkenny, Chloe Feeney, Edel Vaughan Meaití-Jo-Shéamais Ó Fatharta & Liam Scanlon to name but a few. Westport is unquestionably renowned as Ireland's most beautiful town. Nestled between the dramatic backdrop of Croagh Patrick's Holy Mountain and the Atlantic Ocean, Westport is a photogenic Georgian town with tree-lined streets, a riverside mall, and a great vibe. It has an excellent choice of accommodation, restaraunts and pubs renowned for their hospitality and their music. It is an extremely popular spot 'that has not sold its soul to tourism ' (Lonely Planet). The towns of Newport, Louisburgh, Mulranny and Castlebar are all accessible from Westport and these towns also offer attractive accommodation alternatives. At €85 including workshops, lectures, tutor concerts, céilí, sessions, participant concert, you can see that the price is indeed attractive and competitive. There are even reductions for members of the same family!